Which orientation do Epaper readers prefer - landscape or portrait? Originally posted by Kristoffer Andreasen, Visiolab. Since tablets started hitting the market, people have discussed the optimal orientation for reading Epapers on tablets. Even now, years after the introduction of Android tablets and iPads, people still discuss their preferred reading habits. Many studies have been conducted, but with no clear conclusion. 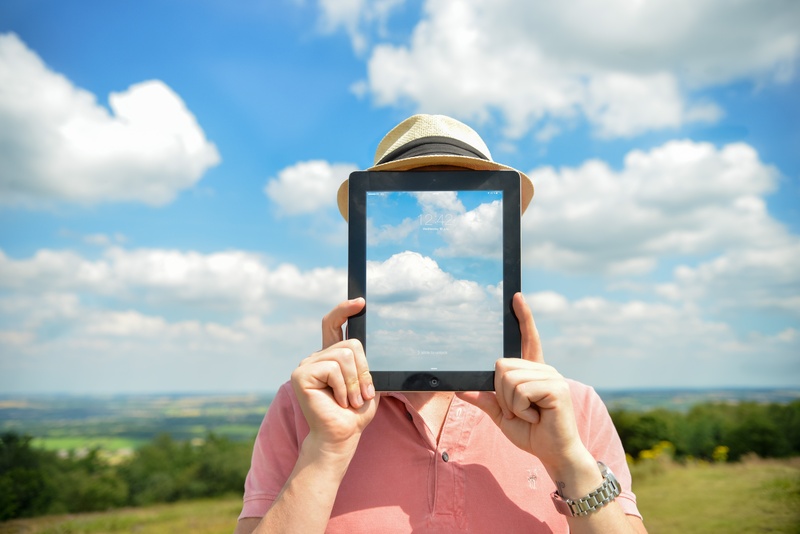 A recent survey found that the majority of Epaper readers use landscape mode when using tablets and iPads. However, this result may be heavily biased as there has never been a definitive conclusion to readers' behavior on this type of device. Users of iPads use the direction that suits them and is highly dependent on the specific application. The activity a user has with one application may be better suited for landscape mode whereas other types of applications are well suited as horisontal. Do Epaper readers prefer landscape or portrait? The answer is not unanimous. Visiolab, the subsidiary company of Visiolink, has tracked the use in a group of Epapers over the past month and the tendencies are highly volatile and specific to individual publishers. In general, portrait is preferred, which is prevalent in four out of six publications. The complete data from the six publications is illustrated below. Besides showing the preferred view, the data reveals the large span between publications and underlines the statement that orientation is highly user- and application-specific. The largest difference is found in publication two, where 72.75% of the readers use a horisontal view. This leaves a mere 27.25% of readers who prefer the landscape mode. 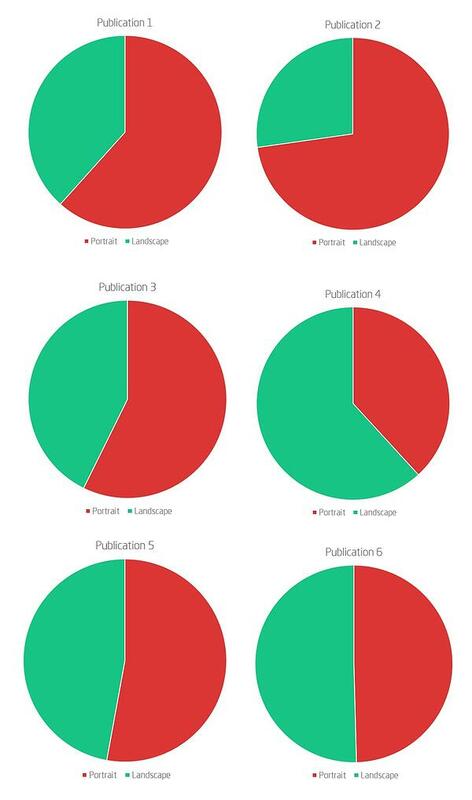 The complete opposite picture is depicted at publication four, where 61.79% of readers uses landscape and only 38.21% of Epaper readers use portrait mode. Of the remaining four, two are basically equal and two have a preference for reading in portrait. Although the sample is relatively small, it still provides an idea of the differences between readers from publication to publication. This knowledge is useful to media houses when assessing the price for an Interstitial, where the orientation potentially can influence the conversion rate. Additionally, it allows the specific newspaper to create a layout for their Epaper that fits reader behavior. You can learn more about industry benchmarks in the latest User Survey Benchmark Report by clicking below.